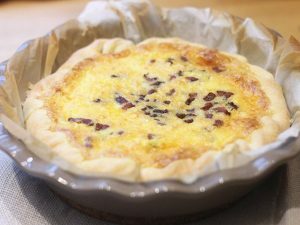 An incredible quiche, very easy to make. If you want spend a lunch or dinner with family, we suggest you this incredible recipe. 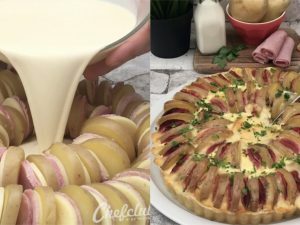 Potato, ham, cream for make a quiche stringy and delicious. 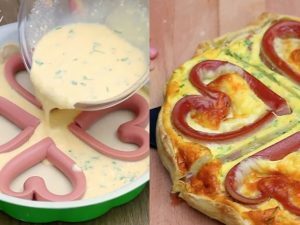 Ingredients: 1 roll of puff pastry, 7 potatoes, ham, cheese (slices), 4 eggs, 20 cl cream, salt, pepper and parsley. 10) Bake al 356°F (180°) for 35 minutes. Serve with parsley and add to meat to surprise all your guests. 3 eggs recipes you must try! Savory vegetable quiche: colorful, cheesy and full of flavor!